I’m always in a rush to get out the door in the mornings. With two little boys, my beauty routine is often bare bones, so the little I get to do for myself needs to go a long way. Enter the quick morning braid—the perfect solution to my messy hair woes. I’m a pro at doing other people’s hair, but sometimes braiding my own can be a little tricky. Thankfully, I’ve found a few easy braids that I’ve mastered. They’re easy enough to do on your own, and they look really polished despite how easy they are to achieve. Check out my favorite DIY braided hairstyles that you’re sure to be adding to your weekly routine. 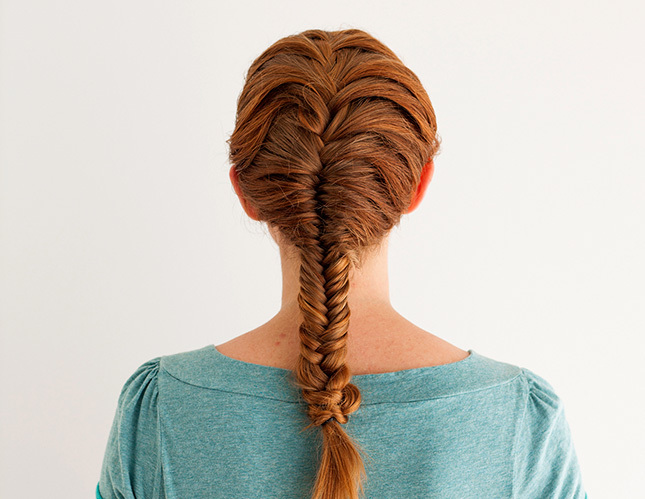 Keep things interesting by mixing up two traditional tutorials: a french braid up top and a fishtail at the bottom. 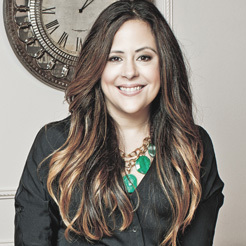 This easy DIY tutorial via Brit + Co will keep your look current while oozing a bit of drama. Add minimal makeup and you’re out the door. 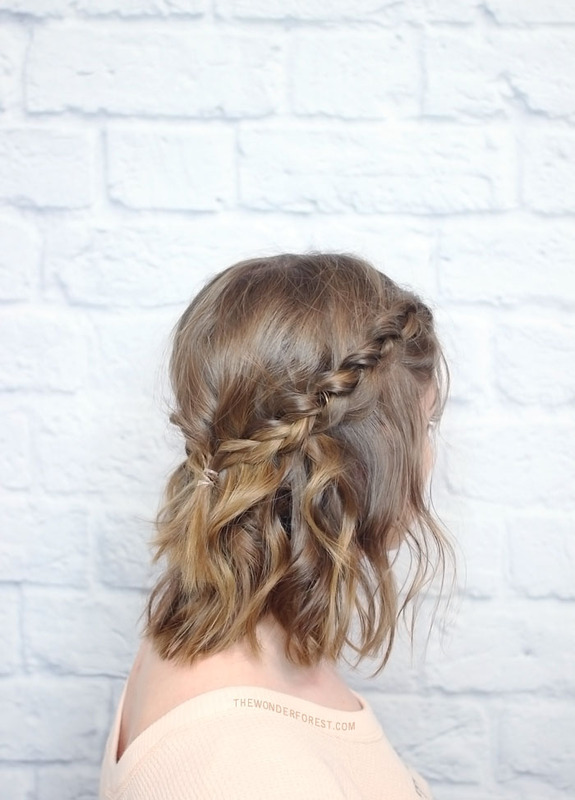 This braid is perfect for any length of hair but works especially nicely on lobs and bobs. Inverted french or fishtail braids on both sides of your head join at the back for an easy style that’ll get you out the door quickly. The look is pretty simple because it doesn’t have to be perfect—in fact, the messier, the better. Catch the complete tutorial on The Wonder Forest. The lack of structure makes this braid romantic, enchanting, and ultra easy to replicate for an everyday style. Give this one a whirl for warm days and even warmer nights. (I love it for date night.) See the complete tutorial at A Girls Best Day. This braid works great for wet or dry hair and even for the gym! This little gem is also fantastic for wearing to your next wedding. See the complete tutorial on Barefoot Blonde. If you’re growing out your bangs, you’re going to want to rock this style almost every day. 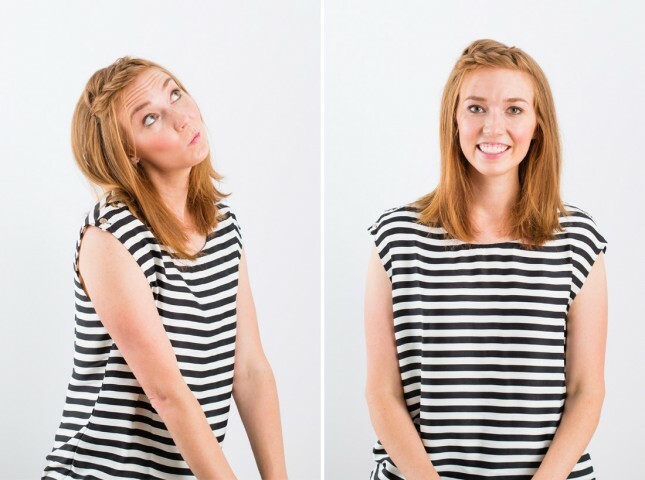 This quick DIY braid via Brit + Co will solve any hair dilemma and add interest to your face. Throw on some mascara, blush, and lipstick, and you’re glam-to-go!